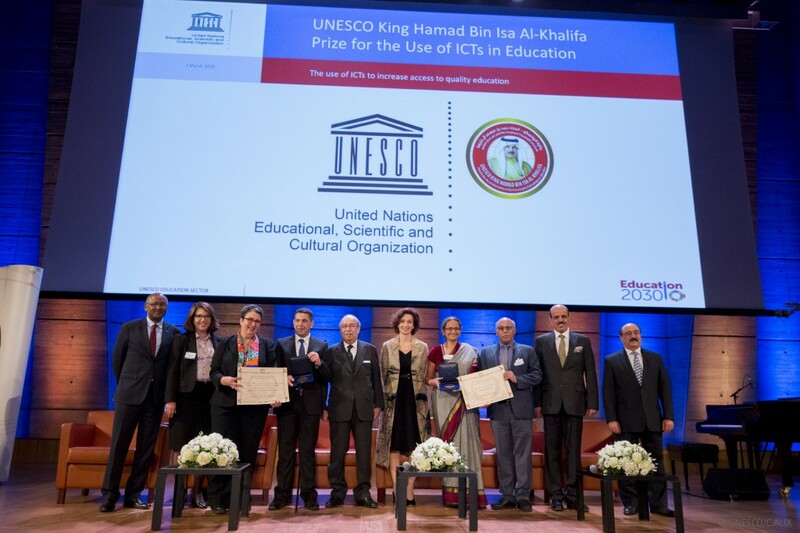 What is a chair, at UNESCO and ICDE? 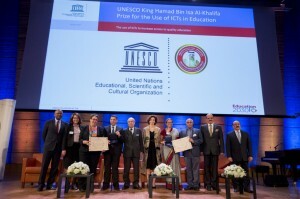 The ceremony, that took place in Paris on March 7th, gathered over 500 participants –including high government representatives, private companies and experts– to attend the awarding designated by the international jury for their remarkable achievements. The jury, selected by its geographical and technical diversity, have analyzed individually and collectively 143 applications coming from 79 countries for the 2017 edition of the Prize. Daniel Burgos, European representative, vice-chair of the international Jury and vice-rector of UNIR, highlights the common feature of the winners: they both increase the access to information and education thanks to ICT. Furthermore, not just the two winners but the other ten finalists support, encourage, foster and nurture that very access and, to some extent, the future of Education and the impact into the Society.